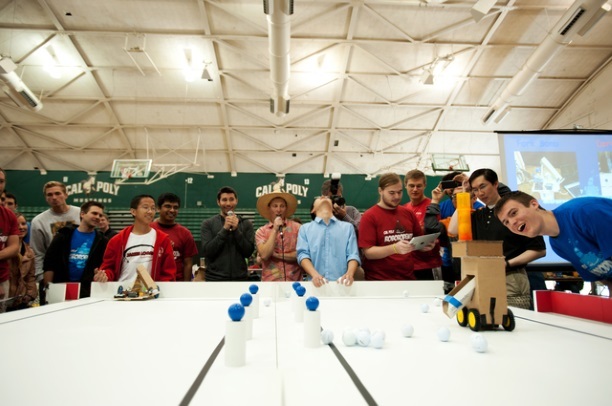 Cal Poly is a distinctive learning community for academically motivated students who seek a challenging, hands-on education in order to prepare for professional and personal success in an increasingly scientific and technological world. Cal Poly is a nationally ranked, four-year, comprehensive public university located in San Luis Obispo, halfway between San Francisco and Los Angeles on California's Central Coast. It is a distinctive learning community offering academically focused students a hands-on educational experience that prepares them for today's scientific and technical world. 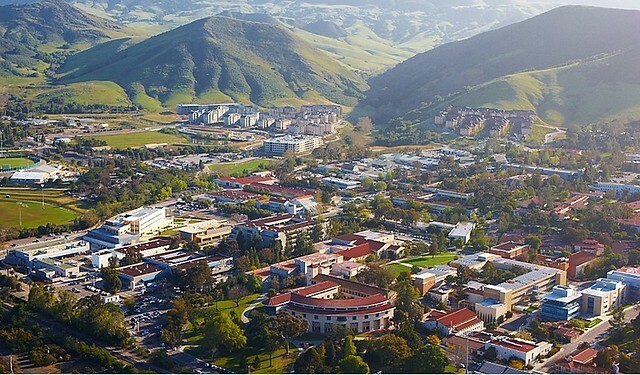 Cal Poly's location in San Luis Obispo makes it one of the best places to visit. It's a quintessential coastal California town with some 43,000 residents. Located halfway between San Francisco and Los Angeles and just minutes from beaches, state parks, landmarks and premium wine regions, it's also a popular vacation spot. Sunset Magazine has called it the most Californian place in all of California. The city of San Luis Obispo offers a historic, restored downtown full of restaurants, theatres, art galleries and shops centered around San Luis Obispo Creek, Mission San Luis Obispo and Mission Plaza. San Luis Obispo's Thursday night Farmer's Market on Higuera Street has become a model for cities around the state. It's a mix of fresh produce and flowers, baked goods, restaurant fare and free music all within strolling distance. WASC is the acronym for the Western Association of Schools and Colleges, one of six regional organizations that the federal government has authorized to accredit institutions of higher learning. Cal Poly is accredited by the Western Association of Schools and Colleges (WASC) every ten years. During the accreditation process, Cal Poly completes a self-study process, where we demonstrate our ongoing commitment to the continuous improvement of our programs—both curricular and co-curricular. The vehicle for doing this is the self-study, which asks us to define an inquiry that can measurably improve student learning, an exercise in collaboration and in thinking that is both critical and creative, to cite our own University Learning Objectives. Cal Poly submitted its most recent interim report to WASC in March 2015. We begin a new self- study in Fall 2019 and complete the next cycle in Spring 2022. Career Services conducts an annual survey of the activities of its most recent graduates, which is compiled into the Graduate Status Report (GSR). This includes information on placement (employer, position, salary) and admissions to graduate or professional schools. Before choosing a Cal Poly major on the CSU Mentor application, research careers and employment opportunities that are related to the majors you are considering. Throughout your time at CAL POLY you will be supported by your teachers and advisors to guide you to your full potential! To reach your goals starts with career planning. From your first quarter, there are step you can take to help you along the path. 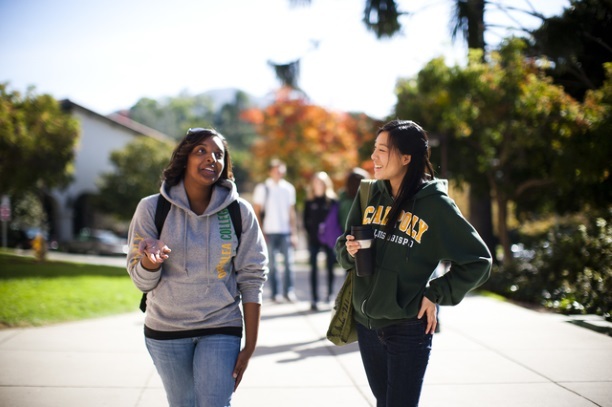 Career Services at CAL POLY will guide you by helping you choose a major by your interests and help you identify what you can achieve within that major. Their career services will also help you perfect your resume, cover letter and interviews to help you secure an internship or job. Their career counsel also provides students with career fairs, networking sessions, workshops and events. Being apart of CAL POLY also grants you access to their exclusive database of temporary jobs in California, fellowships, internships, and careers. 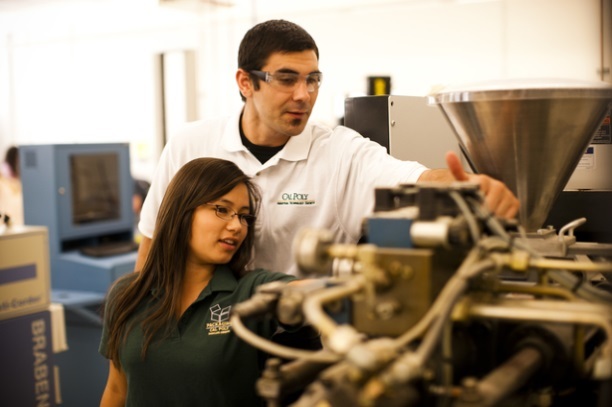 Some companies that support CAL POLY students are: Apple, Chevron, Cisco, Veeva, Keysight Technologies, Weber Metals and many more! At your first year at CAl POLY you will discover your interest, strengths and values to clarify what major to choose and a career path. You will engage on campus by networking, participating on on campus activities and exploring jobs. International students may work 20 hours per week during an academic quarter and 40 hours per week during the vacation periods. No documentation is required from International Center for on-campus employment. You may begin on-campus employment 30 days prior to start of classes. A transfer student can only work at the campus that holds jurisdiction over his/her SEVIS record. You must be in good academic standing in order to qualify for work authorization. F-1 students are eligible for up to 12 months of Practical Training upon the completion of each higher degree level. OPT employment must be completed within 14 months following the completion of study. Students are encouraged to apply for OPT 90 days before their degree completion. The International Student Advisor must confirm eligibility and then recommend OPT before the student sends their application by mail to the USCIS Service Center for processing.